If you ever feel a hankering for music with a green edge, there’s a few lists to help you find the right one. 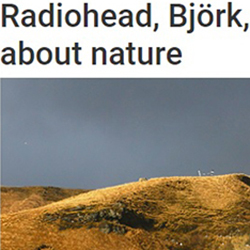 Last year, Lucy Jones wrote the piece “12 beautifully poetic lyrics about nature” for NME, with her list including the likes of Radiohead, Björk, Bob Dylan, and Pixies. Thomas Kivi wrote at length about environmental themes in his interesting piece “An Environmental Playlist of the Twentieth Century” for the website Edge Effects. 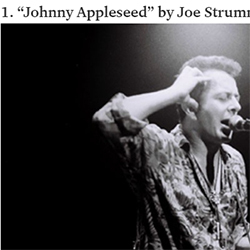 He name-drops Woodie Guthrie, Genesis, Lead Belly, Bob Marley, and many others, and he set up a Spotify playlist to accompany his writing. Cybele Knowles from the Center for Biological Diversity had a different angle with her “7 Songs for the Anthropocene” at Medium.com. Her list includes Ministry, Mos Def, X-Ray Spex, and Nick Cave. She’s got a companion Spotify playlist linked as well. Over at Ultimate Guitar, there’s the Top 25 Best Rock/Metal Environmental Songs Ever, which includes hundreds of posts in the comments section with reader suggestions and an “honorable mention” list at the top. Finally, if we’re going to talk about lists, we need to link Wikipedia’s list of songs about the environment. This entry was posted in Environment + Music and tagged bjork, Bob Dylan, environment, radiohead by Editor. Bookmark the permalink.